Some books get by on wit, some on suspense. Gone Girl seems to do both. A book that kept me from sleep one night too many, does indeed seem like a fresh take on a traditional thriller formula. A fifth anniversary for Amy and Nick, but the wife soon goes missing and the husband gradually turns into a true creeper. What really did happen? For the first three hundred pages, I was swearing that I already had everything figured out. I'm not going to indulge in details, but I was one hundred percent for a certain type of resolution to the story. And then, out of the blue, a huge turn of the tables, some very unreliable narrating and a jarring twist in plot. It's true, I could not put it down. 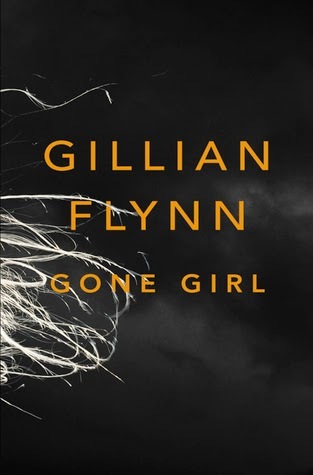 Despite one unnecessary lull in the action, Gone Girl is one of those rare books that keeps you hooked without making it feel like it's fooling you. There are twists, sure, but they are not the type that make you feel stupid, or cast previous plot elements in unflattering light (yes, I'm looking at you Inferno). Overall, there are some wonderful details to the storytelling and characters. 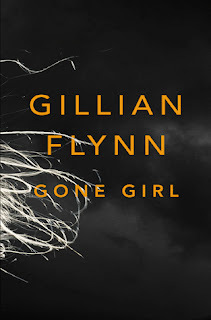 Unlike last time (in J. M. Coetzee's The Childhood of Jesus), Gone Girl is a completely contemporary work that is happily rooted in the events and culture of post-2008 America. The loss of jobs, the downward spiral of both the economy and a couple, all have an impact, but so does the media. Gillian Flynn, an ex-journalist for Entertainment Weekly, is an expert at conjuring media frenzies and public outrage at a suspicous husband (and later on at something else). The film rights for the novel have already been bought and I found names such as David Fincher, Ben Affleck and Rosamunda Pike being mentioned in connection. Let's just hope they are able to portray the tantalizing sense of foreboding that held me throughout.